> Lobby Cards and Photos>Lobby Cards>2010 8 color 11x14 stills '84 Roy Scheider & Natasha Shneider, 2001: A Space Odyssey sequel! 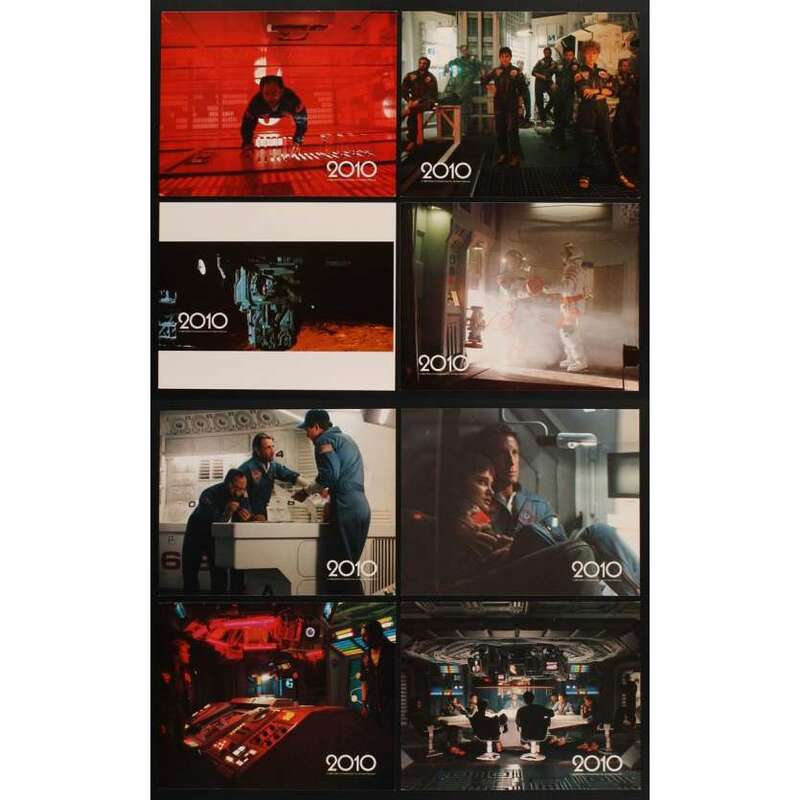 2010 8 color 11x14 stills '84 Roy Scheider & Natasha Shneider, 2001: A Space Odyssey sequel! 8 Original US Vintage Theater-Used Color 11" x 14" [28 x 36 cm] Movie Stills Condition: Very Good to Excellent (C7) See our 10 GRADE SYSTEM Page for more information. 2010 (also known as 2010: The Year We Make Contact) is a 1984 American science fiction film written and directed by Peter Hyams. It is a sequel to the 1968 film 2001: A Space Odyssey, and is based on Arthur C. Clarke's novel 2010: Odyssey Two, a literary sequel to the film. Overall Condition: very good to Excellent .